Glass is an integral and important element of photovoltaic solar panels. To increase efficiency, low-iron glass, which is more expensive, but clearer than ordinary glass, is increasingly specified. Anti-reflective coatings can also increase the amount of usable solar energy. Our high-quality products are used in the three leading solar technologies aimed at converting solar energy into electricity: thin film photovoltaics, crystalline silicon photovoltaics and concentrated solar power applications. In addition to the generation of electricity, our glass products are also used in solar applications that generate hot water. We have been closely associated with the leading companies within the crystalline silicon and thin film photovoltaics industries for a long time. This collaboration has come about, in part, as a result of the historical expertise in on-line coating of both Pilkington and NSG, which has enabled us to become the worldwide leading producer of high-quality, high-volume TCO glass, with manufacturing sites in all main regions. We have been a technological leader in low-iron glass compositions for 25 years. During its life cycle, a solar panel can produce over 15 times the amount of energy used to make it. Increasingly, electrically conductive glass is used in photovoltaic modules as the front contact of the solar cell, to form a system which generates a direct electrical current. The United States and the European Union in particular, are encouraging the production of renewable energy. In December 2008 the EU published the Renewable Energy Directive. Carbon-trading schemes encourage CO2 reductions, adding further impetus to the development of renewable energy options. US government schemes designed to encourage ‘green’ industries also play an important part in establishing renewable technologies. 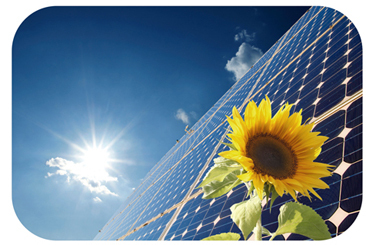 Our products support the three leading solar energy technologies.